As a realtor, you work hard to protect your reputation with homebuyers and home sellers. While some defects in the home are hard to notice, that doesn’t make them any less lethal. Homes with mold can present serious health and safety consequences to buyers and sellers, whether or not they have a mold allergy. Do you know the signs of mold in a home? Musty Smell: While every type of mold does not produce an odor, many do emit a musty, mildew-like smell. If there is a lingering odor in portions of the home, particularly places where there is water like the bathroom or kitchen, it might indicate a mold problem. Visible Mold: One obvious sign of a mold problem is visible growth in the home. Some molds are white and fuzzy, some are small clusters of black dots and others are green in color. Depending on where the mold is and what type of mold it is, the color and texture might be different. Leaks: Has the home had trouble with water leaks or water damage in the past? If the water was not properly removed from the house and the area was never professionally dried, there’s a high likelihood that there is mold in the area around the leak. 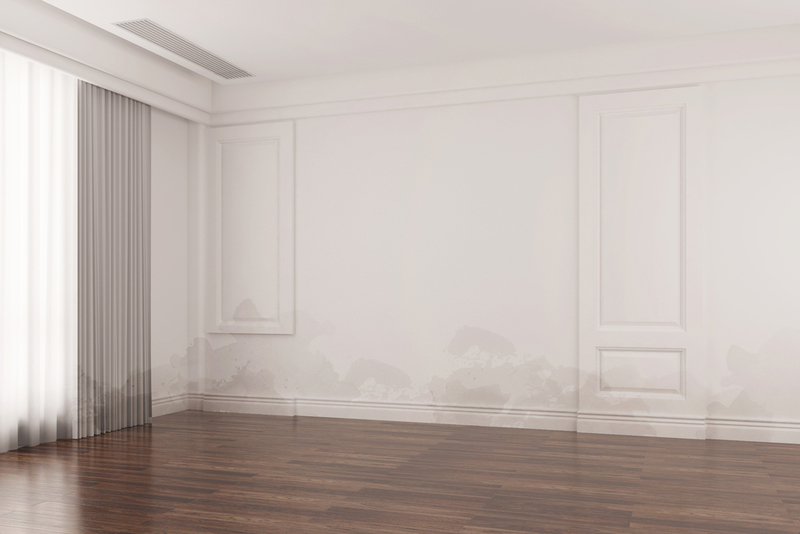 Water Damage: Are there any signs of current or past water damage present at the property? Things like water stains, brown discoloration on the walls or floors, bubbling or cracking flooring and paint damage all point to water damage. Where there is water damage, there is often mold. Some types of mold linger in duct systems and are recirculated every time the HVAC system turns on. A thorough duct cleaning from the professionals at Clean Sweep can remove household allergens and mold spores from ducts to make the home a healthier place to live. Call Clean Sweep Maryland today at 410-558-1111 for professional chimney sweep and duct cleaning services designed to keep all of your listed properties clean and safe for sellers and buyers.